Please note: the Museum will be closed on Sunday, April 21, for the Easter holiday. Happy springtime! A reminder to artists submitting artwork for 2019 Birds in Art jury consideration: the online and postmark deadline is April 22. Celebrate Youth Art Month and the creative efforts of north central Wisconsin students in grades 5-8 via the 42nd Student Art Exhibition, on view through March 31, 2019. Each March, the nation promotes art education by focusing on student work. 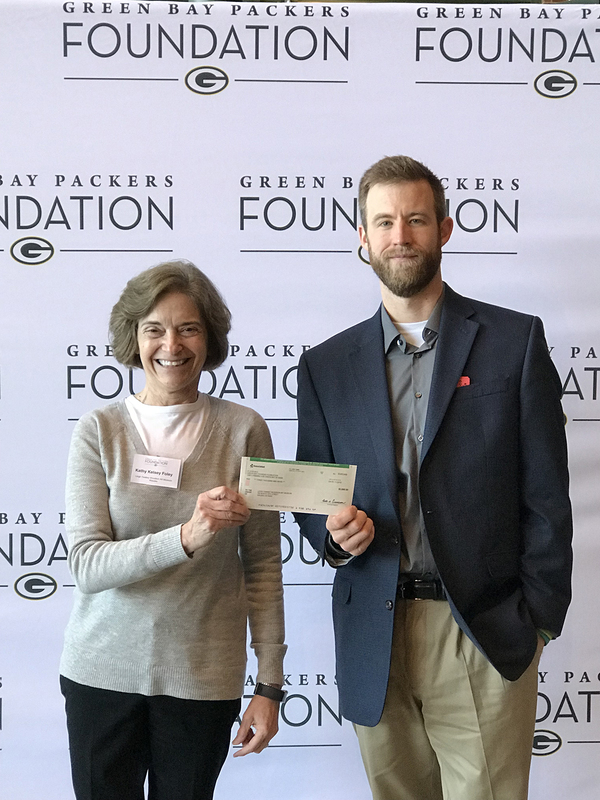 The Leigh Yawkey Woodson Art Museum received a grant from the Green Bay Packers Foundation to support a future tactile exhibition, inviting all visitors to experience a new way to “see” by touching a selection of artwork from the Museum’s collection. Wausau, Wisconsin: The 30th annual Wausau’s Artrageous Weekend, Saturday and Sunday, September 7-8, offers fun for all ages during north central Wisconsin’s biggest art extravaganza, spanning both sides of the Wisconsin River. Individuals with low vision or blindness join Museum educators for a multisensory visit to Victor Vasarely: Op Art Master galleries, followed by hands-on art making inspired by Vasarely. Call 715.845.7010 to register. The Museum will open on Thursday, January 31, at 9:00 a.m., returning to our regular hours, 9:00 a.m. – 4:00 p.m., Tuesday through Friday, and Noon – 5:00 p.m., Saturday and Sunday. See a recently completed mural by California-based artist and science illustrator Jane Kim during her artist residency, November 9-18, at the Leigh Yawkey Woodson Art Museum. Kim designed her painting RGB(ird), now on view near the west gallery, to illustrate how bird feathers get their color.